As the demand for more steel and its products is increasing, the need for raw material is also on the rise. There are industries set up all over the world that are in constant need of raw material to manufacture new products. We can meet this demand in two ways; By providing fresh metal resources every time the demand arises which will put the direct impact on the environment and the second way is to offer the used metal as raw metal which will be recycled. Using recycled metal will conserve the environment and save its resources. Car wreckers in Perth provide the used metal as raw material to the industries that need it. When any car reaches its end of life stage, it becomes difficult for the owner to keep it and also to resell it because of its bad condition. There are other categories of the car that are hard to sell to a regular buyer. Accidental cars, damaged cars, junk cars, scrap cars, rusty cars all are difficult to sell because it takes a lot of money to repair them, fix them and make them run on the road again. For such cars, cash for cars companies come to the rescue as they buy the car regardless of its condition. They wreck the cars for its metal so that it can be sold to the industries. 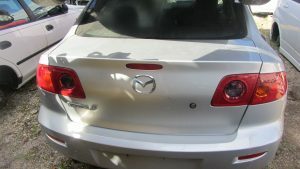 The good parts of the cars are refurbished for people who buy the used car parts. This way the whole car is recycled and disposed of in an environment-friendly way. Recycling the car is beneficial not only for the car wreckers in Perth. But, it is a boon for the environment as well. The car owner as well gets good cash for the car. It’s a win-win for all.